The ERB is a UK-developed and standardised test battery, based on a nationally stratified sample of children, which assesses phonological and morphosyntactic processing abilities in children aged 2 to 6 years. Nonword and sentence repetition tasks have been identified as clinical markers of Specific Language Impairments (SLI) and children’s performance has been found to correlate with a variety of language measures in both typically and atypically developing children. PSRep (Preschool Repetition Test) – assesses children’s recognition, recall and production of real words and made-up words. Children are introduced to a puppet, and are then asked to copy what the puppet says. After two practice items, the child is presented with 18 words and 18 phonologically matched non-words. One point is awarded for each word correctly repeated, with a maximum of 36. Standard scores and percentiles are provided for total performance. SIT (Sentence Imitation Test) – children are required to repeat sentences, assessing for length and syntactic complexity. Standard scores and percentiles are provided for performance on whole sentences, content words, function words, and infl ections. 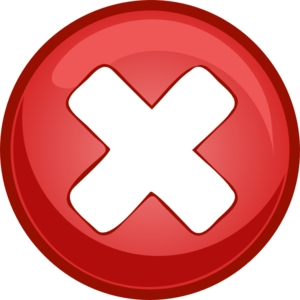 Additional optional analyses of errors are included. The ERB can be used on three levels. Level 1 is used to identity children for referral and as part of the fi rst stages of assessment. It can be used by teachers and SENCOs. Level 2 and 3 analyses the child’s performance in greater depth, identifying areas of strength and difficulties. This level is designed to be used by Speech and Language Therapists. The ERB is easy for young children to understand and quick to administer, score and interpret. Both tasks in the ERB are easy for young children to understand, and are quick to administer, making the test particularly useful when assessing children who suffer from short attention spans. The scoring system makes allowances for speech difficulties, and a special scoring system for SIT enables the assessment of morphosyntactic abilities in children with severe speech impairment. For professionals with relevant training, the scoring system allows more detailed analysis of phonological and morphosyntactic performance to identify specific difficulties. Research studies have indicated that the PSRep and the SIT help to categorise and differentiate between children with and without language problems. The ERB can be used to inform therapy or IEP (Individual Educational Plan) targets as well as help monitor progress by comparing repeated test results.